Sales professionals sometimes forget that people buy you. We get so caught up pushing our products or services that we lose sight of the importance of networking. 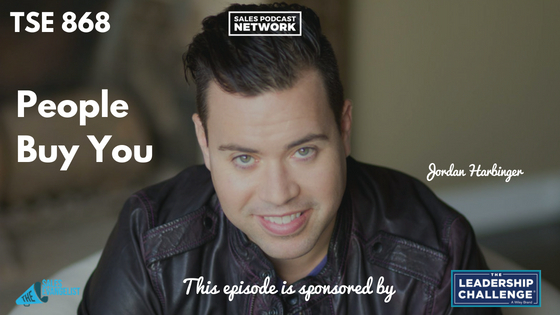 Today on The Sales Evangelist, Jordan Harbinger, host of The Jordan Harbinger Show podcast, explains that networking isn’t just about interacting with famous or popular people, but rather about finding those who are a good fit. Networking is a little like finding the needle in the haystack. When Jordan was in high school, he took advantage of the fact that he was the smart kid; but when he got to college, everyone was smart. He still had a leg up because while they were drinking and partying, he outworked them. When he got to Wall Street, his competitive advantage was gone because everyone was smart and hard-working. Jordan started his career believing that networks just happened. He got hired by a firm where the partner was rarely in the office, but Jordan didn’t realize he was out generating business for the firm. He discovered then that he needed to figure out how to be liked, known, and trusted if he was going to get to the top of the law game. Jordan dedicated himself to learning how to create and maintain authentic relationships that would result in opportunities later on. He discovered that it demands a set of soft skills and habits, as well as personality. It’s not an optional skillset: it’s the foundation of everything else. Many people decide that in a sea of to-do’s, once the platform is built, they’ll focus on networking, but it’s far too important to skip. 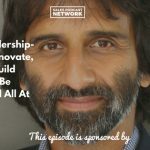 If you skip networking as you’re building your business, you’re not immune to the consequences. You’re being willfully ignorant of the secret game being played around you. People buy you, so you must work to make sure they know who you are. If you’re in a room with whoever wants to show up, you’re likely in a room with newbies and people who want something from you. And if you decide to go anyway in an attempt to add value, you’ll give to those takers and they won’t likely reciprocate. If you aren’t getting invited to curated events, begin networking online to try to generate those invitations. If they still don’t come, create your own curated event and invite people that you think should know each other. If you’re looking to Always Be Closing, you’re also fishing for a needle in a haystack. As a graphic designer, for example, that means you’re looking for people who need graphics so you can close a deal with them. Instead, choose to Always Be Giving, so you can help even those people who don’t need your goods and services. You’ll have the opportunity to create relationships with people who can help you down the road. You’ll generate social capital because you’ll help them solve a problem without expecting anything in return. 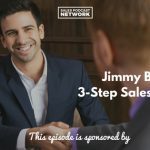 The biggest mistake sales professionals make is trying to turn every relationship into a quid pro quo. If you turn every interaction into a sale, people will stop interacting because they know there’s a pitch coming. Dig the well before you’re thirsty. Build relationships now so you’ll have them when you need them. Waiting until you need them is like putting a spare tire in your trunk when your tire is already flat. If you got laid off tomorrow, who are the 10 you’d reach out to? You can connect with Jordan on his podcast, The Jordan Harbinger Show. Jordan taps into wisdom from the most successful people on earth to understand their perspectives and gain insight into their lives. Jordan’s first podcast, The Art of Charm, will help you learn how to initiate a conversation with anyone. Jordan also offers training that will transform your network at his website jordanharbinger.com/course.